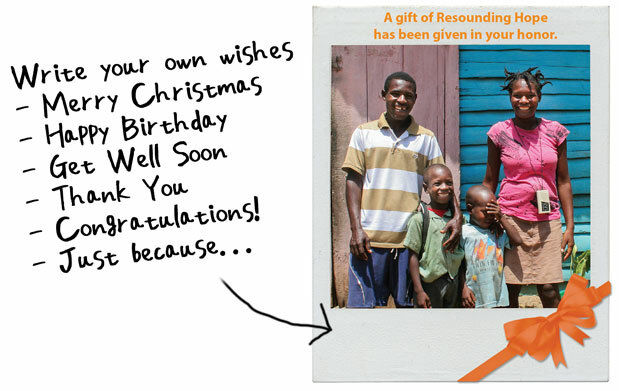 Honor a loved one by making a gift of Resounding Hope in their honor. After making your donation, return to this page to print an Honor card and let your loved ones know of the Resounding Hope gift you’ve made in their honor. 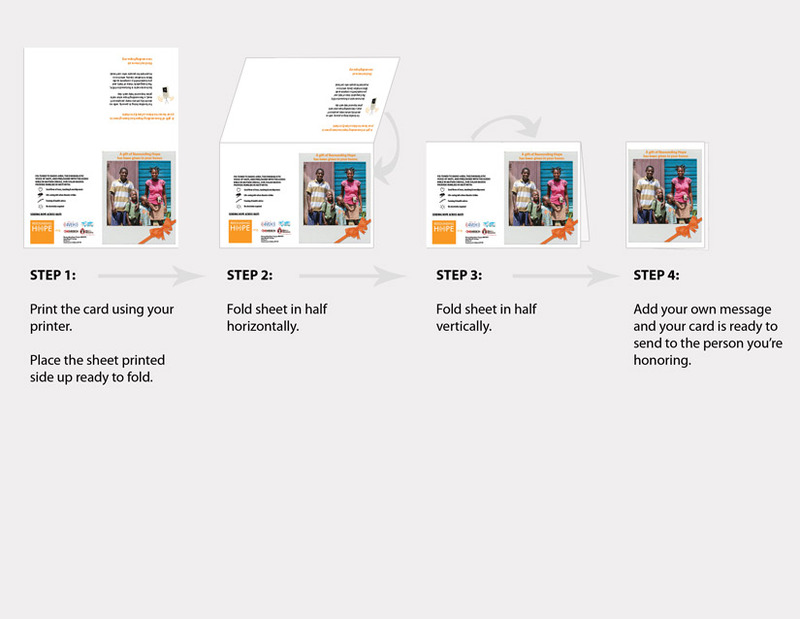 Follow these simple instructions to print your own Honor cards from your home printer. Use the folding instructions below to fold card. Then add your own message and your card is ready to go in an envelope and in the mail to your loved one! Click on card image to open PDF and print. 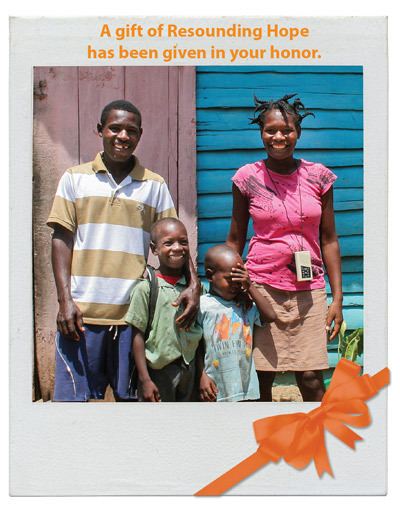 A gift of Resounding Hope has been given in your honor to bless a family in Haiti. For families living in poverty, with no electricity, where many people can’t read, a Resounding Hope solar radio gives hope and help each day. Each solar radio is fix-tuned to 4VEH, The Evangelistic Voice of Haiti, and pre-loaded with a complete audio Bible in Haitian Creole, which is so important for people who can’t read.